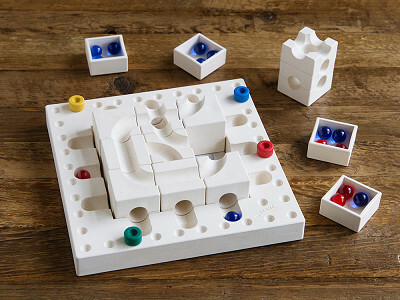 Each wooden strategy game by Cuboro engages your imagination and spatial thinking skills—but all you notice is having fun battling your opponent. And the pieces are all sustainably made with an heirloom-quality matte finish. Babel Pico is a contest to build a structure with a four-cube base, taking turns against the competition. The hard part is that your move can’t leave any pointed surface facing outwards. Tricky Ways is a marble run-making challenge—where you design the longest unobstructed path for a marble, moving only three pieces per turn. The games are made in Austria from sustainability harvested composite and surplus wood called Fasal—easily mistaken for coffee table decoration. They almost look like tiny museum sculptures. 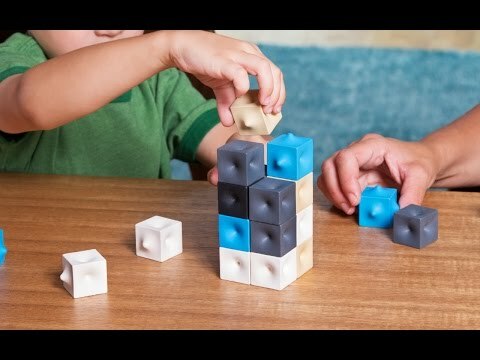 Maker Matthias Etter started creating custom games and puzzles after working with special needs children. 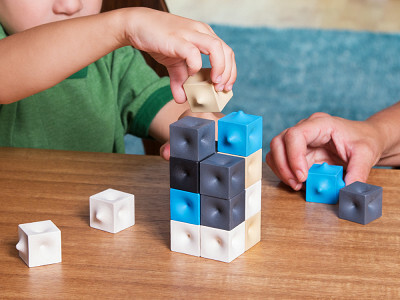 Etter wanted to encourage learning as well as make the different pieces easy to grip and place. Cuboro’s timeless design is bound to have your family strategizing and scheming for generations. 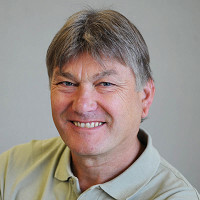 Hello America, I’m Matthias Etter founder and inventor at Cuboro Ltd. in Switzerland. I’m very proud and excited to have some of my products featured as today’s Grommet. I’d be happy to answer any questions you have! It appears the one set can make a track for marbles to roll down. Can both sets co that? @Gail - Hi Gail. babel pico is a strategy game working with cubes with concave and convex sides like a tridimensionale puzzle, this player who can not settle again a concave to a convex side looses.The Tricky Ways - game instead uses the principle of a combination marble track system to create with a few moves ever new marble-ways to emty hole.Longer the way you can create more points you will get. Try! Great game but why such a high price? @david Hi David, thanks for compliment! ...The price is calculated on real production costs, transport, trade margin, license- and duty fees. The compsit material "Fasal" is composed primarily of wood (certified under PEFC system) and renewable natural raw materials. Additionally fasal contains some part of PP, to be water resistent and to reach the USA - norm and the EN 71/3 certification for toys. This new ecologic stuff is compact, elaborated unique and certified. Please see this in context to other high quality, intelligent and durable toys made in Europa or USA. Are any of your games good for an 8 year old? @Laura Hi Laura, Yes, it does! ...babel pico, children up to 6 years understand the rules easily. With more experience or older the kids are, more strategy and less fortune takes part of the game... Tricky Ways has two levels. As for the simple game version in which tracks lead through the channels on the surface, already children from age 6 can collect many points! The full version including the tunnel functions even challenges those loving riddles and tough strategists! @Matthias @Laura Just a quick clarification that Matthias is indicating Babel Pico is great for kids ages six and up--not below six. @brenda Hi Brenda. Since there are two levels, children from 6 years up and families enjoy the contest with simple rules. To explore the tricky ways in the tunnels, stimulates the curiosity and makes fit also older players and tinkerer to face the challange in competitions on the second level. Each wooden strategy game by Cuboro engages your imagination and spatial thinking skills—but all you notice is having fun battling your opponent. And the pieces are all sustainably made with an heirloom-quality matte finish. Babel Pico is a contest to build a structure with a four-cube base, taking turns against the competition. The hard part is that your move can’t leave any pointed surface facing outwards. Tricky Ways is a marble run-making challenge—where you design the longest unobstructed path for a marble, moving only three pieces per turn. The games are made in Austria from sustainability harvested composite and surplus wood called Fasal—easily mistaken for coffee table decoration. They almost look like tiny museum sculptures. Maker Matthias Etter started creating custom games and puzzles after working with special needs children. 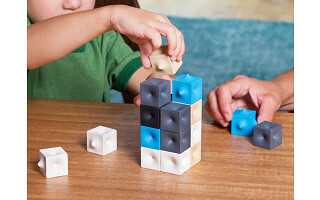 Etter wanted to encourage learning as well as make the different pieces easy to grip and place.